Portable speakers are one the latest gadgets that have made to the list of gadgets that many adventure seeking and outdoorsy people have embraced. I’d like to think that I am one of them too. To me, FUGOO likens to FUN on the GO! It is as if the creators of the speaker wanted the wander-thirst in me to never die. There is, without doubt, a huge list of brands that manufacture portable mini Bluetooth speakers. However, FUGOO is one of the topmost brands that produce highly remarkable waterproof speakers that are greatly in demand in markets across the world. 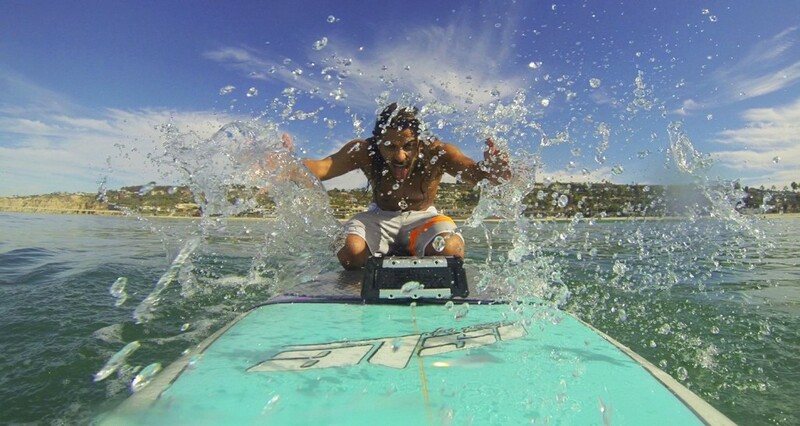 FUGOO has crafted three different series of portable wireless speakers: STYLE, SPORT, and TOUGH. These models are further expanded into Style XL, Sport XL, and Tough XL. For any outdoor adventures, the TOUGH model would be a great and perfect rugged speaker since it had been designed in such a way that it is mud-proof, snow-proof, and waterproof. The FUGOO Tough portable wireless speaker is constructed with a solid body for durability. It’s designed so toughly and ruggedly that it will not be damaged even if you drop it on hard surfaces, beneath water, and even when it’s covered with mud. 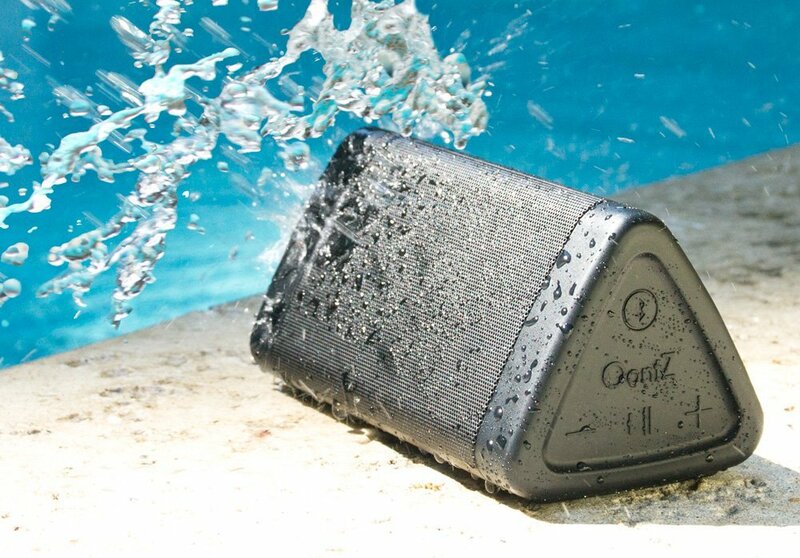 This waterproof Bluetooth Speaker is equipped with six custom designed audio drivers (2 mid-woofers, 2 tweeters and 2 bass drivers). This helps in balancing and delivering high and low sound without any distortion. FUGOO portable Bluetooth speaker runs smoothly for about 40 hours without any disturbances. The battery life of this speaker is outstanding; it gives you the comfort for listening to your favorite music for long hours without recharging it. All the sides of the speaker are protected against any weather condition such as rain and storm. It’s a 360 degree Bluetooth speaker that produces immersive sound from all directions. It’s a highly powerful speaker with a difference. The acoustic drivers help in delivering excellent Sound Pleasure Level up to 95dB volume. This in return allows you to enjoy rich and captivating sound wherever you are. The Portability, Flexibility and Clarity of Sound are some of the other features that attract many users from across the world. The dimension of this wireless speaker is 2.4inch x 7.8inch x 2.9inches which makes it very handy. FUGOO Tough Bluetooth speaker Model No. F6TFKS01 weighs about 1.4 pounds only. It uses Lithium-ion rechargeable battery that can be charged using a USB cable or an AC adapter for prolonged battery life. This product supports Windows 7, 8, Vista, and Mac operating systems. For high quality Bluetooth stereo sound, it’s compatible with AptX Codec. You can easily connect to the speaker with the help of the wireless Bluetooth connectivity from a range of 33feet away from the system. It also has an inbuilt microphone for delivering better sound effect on the speakerphone. FUGOO Tough Bluetooth speaker is available in black color. The Manufacturer offers one year limited warranty for this particular model. Why Do I Vouch for FUGOO Tough Rugged Speaker? I have been using the FUGOO Tough Bluetooth speaker for about a year now, and so far, I have not faced any issues. When I go camping, or hiking, or trekking, and other adventures, I generally take this speaker along with me. The amazingly long lasting life of the battery coupled with its sturdiness enables me to take this speaker along with me on my trekking trips. Plus, the size so conveniently and easily fits into my rucksack. Though it is not a pocket-sized speaker like Anker, the portability and versatility of this wireless speaker is undeniably an attraction especially to me, and I suppose to other like-minded users, too. Another indisputable area of importance is the brilliant sound delivery of this speaker. This certainly is a speaker for the man and woman on the go. Since this speaker delivers sound in 360°, the sound is quite loud even when we are outdoors. Of course, we don’t want to be scaring our little furry friends in the woods, so, tune the volume down and still enjoy your tracks. To conclude, to the man on the move and the woman that puts couch potatoes to shame, if you ever want a portable waterproof Bluetooth speaker, I would highly recommend this product.